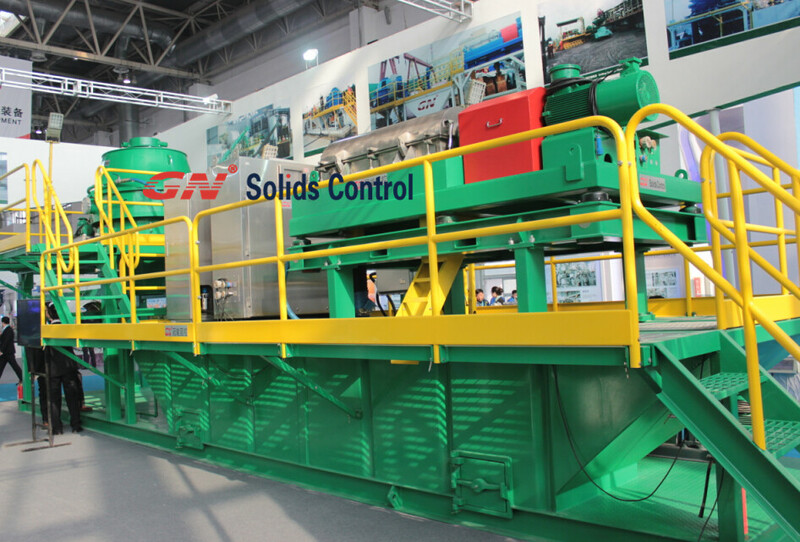 GN Solids Control has been designing and manufacturing many sets of drilling waste management systems for global clients. Now GN solids control and drilling waste management equipments are exported to over 60 countries. GN Drilling Waste Management systems can treat oil base mud, water base mud. It’s obvious to know, in order to get a better separating performance we need to treat the oil base mud and water base mud separately. GN waste management systems are composed of cuttings dryer and decanter centrifuge. The largest advantage of GN cuttings dryer is it can treat with OBM and WBM. For some drilling rigs, in the primary drilling period most of the fluids are water base mud, the oil based mud will be used as the rig drilling much deeper. So only buy one cuttings dryer, you can use it for all the drilling process. Now many large clients are using GN drilling waste management systems, such as Shell used one whole unit to separate the OBM in the shale gas drilling process. And Baker Hughes is using 4 sets of drilling waste management systems to do their drilling work in extremely cold environment. 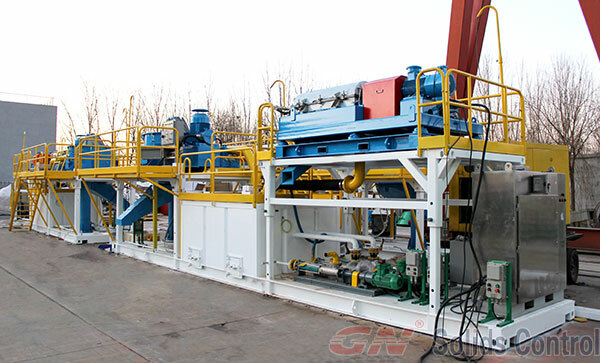 According to the survey made by Shell, oil in the final cuttings treated by GN cuttings dryer will be around 5%, and it will be reached to 3.75% when you feeding with few drilling mud. Now GN has upgraded our cuttings dryer to the forth version: the rotating speed can reach to 1200 RPM, separating performance is better than the third version. For the decanter centrifuge, GN engineers also gave some creative and practical modifications: mud is feed to the large end of the rotating bowl, some outlets on the screw propeller is added, one flexible bow is fixed on the solids discharge port to avoid block etc. The standard GN drilling waste management systems can treat with much more solids with a satisfied performance. For further details, welcome to contact us freely by thomas@gnsolidscontrol.com. GN Solids Control has many experience engineers in waste management area. In order to meet the demands of environment protection and make money from the waste oil, using GN drilling waste management systems would be one cost effective method. GN drilling waste management systems is a pretty standard system mainly including one GN cuttings dryer and one decanter centrifuge, two positive pumps (one for cleaning and flushing the cuttings dryer when the work is finished, the other one is used for feeding mud into the decanter centrifuge), skid and tank as well as some other auxiliary equipments such as ladders, walkways, guiderails and lights etc. In order to operate GN drilling waste management systems conveniently, GN designers take the working conditions into consideration. The whole systems are pretty compact, while the operators have large room for work. GN cutting dryer is quite effective for OBM, WBM or SBM treating. When using GN dryer, on one hand you can separate the solids out from the waste mud, on the other hand you can reclaim some precious oil which can be used for further treatment and sell to make profit. From this point, treat the waste oil can reach the aim of protecting environment and make money. Solids come out from the waste mud contain a little bit oil, according to the discharge standard, these solids can be discharged directly without any further treatment due to the oil is less than 5 percent. As to the WBM treating, GN dryer also can perform excellently. Solids usually contain less than 10% water. These solids can be transported to other places after 2 or 3 days nature dry. Fluids come out from cuttings dryer can be sent to decanter centrifuge for further separation. All the solids larger than 2 or 3 microns can be separated out. GN drilling waste management system can also working in harsh environment which is very cold. Last December, some sets of GN drilling waste management systems are using in Russia, where the temperature is minus 40 ℃.